Since I'm in Paris, I’ve been spoiling my little 2-year-old nephew Paul and 4-year-old niece Elise with sweets. It’s a great way to bond with them in a short period of time. Crêpes are always fun, so I made a pile for all of us to share, along with various jams, Nutella, honey and powdered sugar. 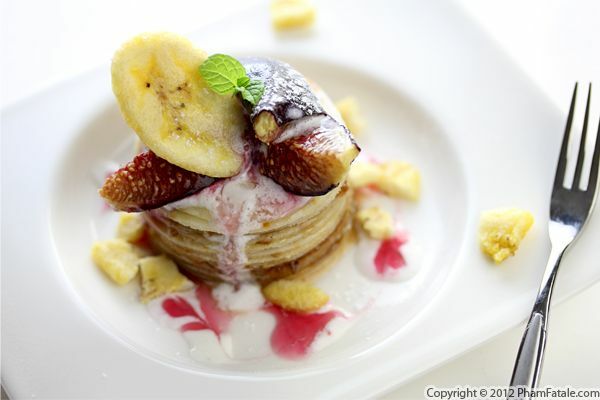 In addition to the individual crêpes, I made mini crêpe cakes, filled with fig and banana jam. 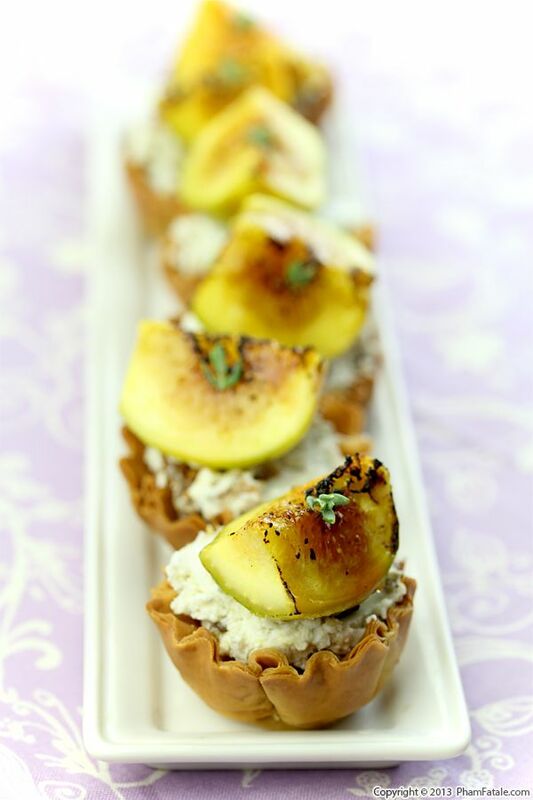 To repeat the flavors in the dessert, I topped the cake with freeze-dried banana chips and roasted figs. The most fun part of the assembly was watching Elise and Paul eating the crêpes as I was making them. Lucky me, I still had enough crêpe batter to finish the dessert. I absolutely adore them! 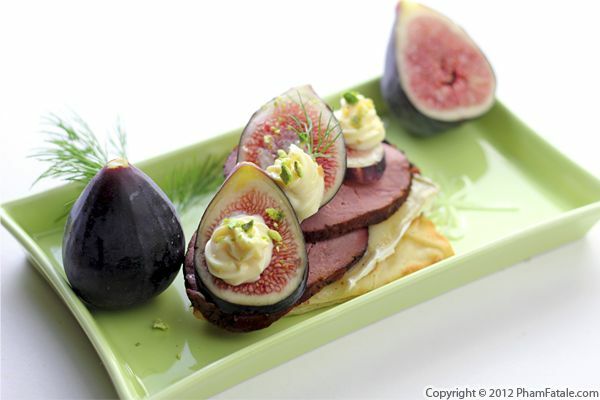 This dessert combines figs and saffron, two of my favorite ingredients. There is just something so sinfully luxurious about the color, flavor and texture of both items, that when combined, you just know you're in for something really special. To make the dessert, I pre-baked a homemade tart shell and filled it with saffron-flavored custard. 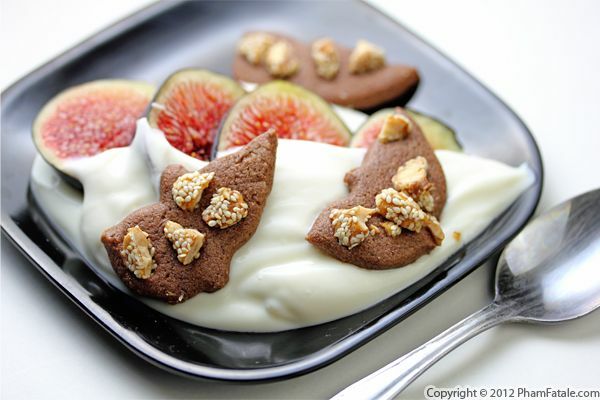 Over the custard I layered freshly picked and sliced figs from our garden. Fruit preserves gave the tart a nice gloss, and for an extra pop of color and texture, I added a thin layer of crumbled pistachios. 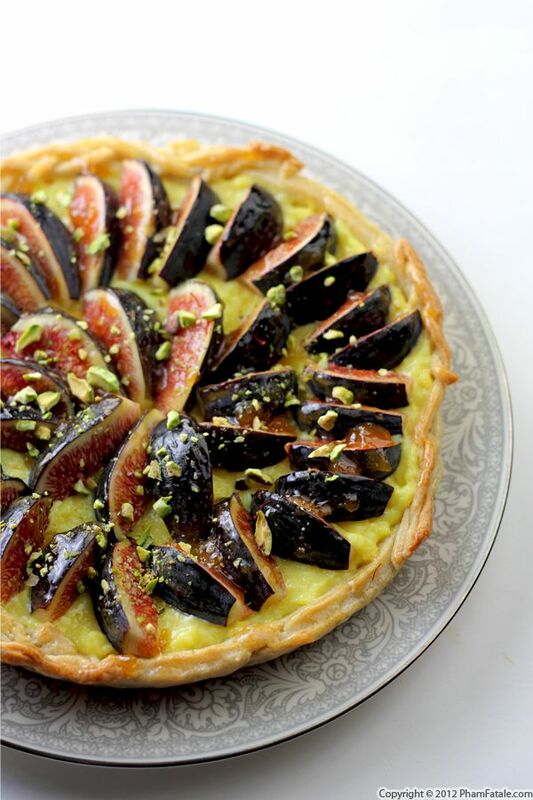 As elegant and sophisticated as this tart may look, it's actually pretty easy to put together, assuming you know the basics of making tart shells and custards. It can be easily modified to work with your favorite ingredients, so learn the basics, experiment and have fun!